Exercising throughout your pregnancy is one way to help prevent varicose veins and spider veins. Pregnancy is a joyous time for expectant mothers. But it’s also a challenging time physically and emotionally. Even while celebrating the coming birth of a child, women also bemoan their pregnancies’ long term affects on their bodies, including weight gain, stretch marks, varicose veins and spider veins. Jacksonville varicose vein specialist James St. George explains why vein conditions are linked with pregnancies and what you can do to minimize or manage them. First, pregnancy boosts the amount of blood that your body creates, which adds to the burden on your veins to begin with. 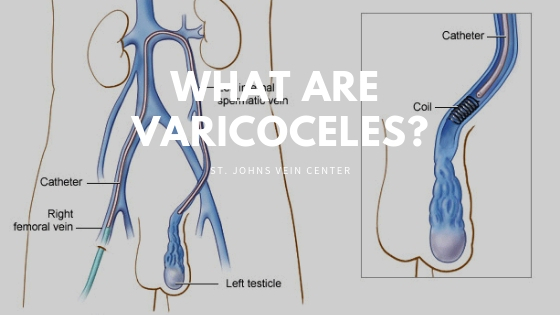 Plus, your growing uterus places pressure on your inferior vena cava, the large vein on the right side of your body, in turn creating even more pressure in your leg veins. Meanwhile, a boost in your progesterone levels causes the walls of your blood vessels to relax. This overtaxing of your leg veins manifests in varicose and spider veins, caused by a pooling of blood in the veins. They’re marked by bulging, blue or purple lines showing through the surface of the skin and can be painful or itchy. In pregnant women, varicose veins can appear in the legs and the labia. They’re increasingly common in women who have had multiple pregnancies, carry twins or higher multiples, are overweight or stand for long periods of time. Wear graduated compression stockings during the day; This is especially important if you already have vein problems or a family history of vein problems. Feel free to contact us if you have additional questions about pregnancy and varicose veins. If you’re looking to get rid of varicose veins lingering from a prior pregnancy, visit the St. Johns Vein Center. Call 877-640-VEIN (8346) or schedule a consultation online.